Mercedes-Benz first used the ’SL’ nameplate, stemming from the designation ’Sport Leicht’ or. English, ’Sport Light’ for its 1952 sports car that brought the company its first 24 Hours of Le Mans victory and also a few other major wins that same year such as the win in the Carrera Panamericana event in Mexico. That one is still a part of the company’s design language to this day as it gives its name to the Panamericana grille. Three years later, Mercedes decided it was high time to return to Le Mans after trying out the possibilities of a closed-bodywork setup on the W196 in 1954. The Rudolf Uhlenhaut-designed 300 SLR was the result of this decision and, as it happened, it was linked to Mercedes' F1 racer that swept the floor in the world championship in both 1954 and 1955, the stunning W196. That’s why the 300 SLR was known internally as the ’W196S’. 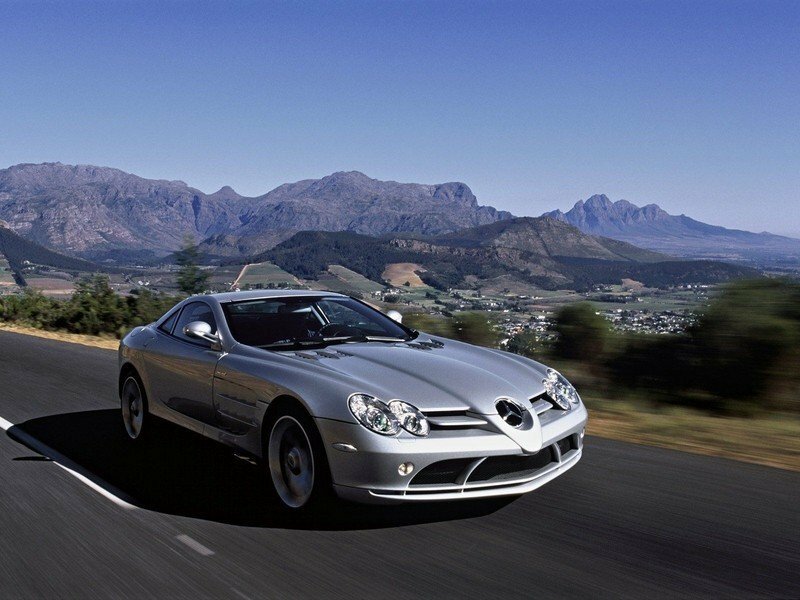 In the early noughties, the SLR badge returned to the back of a Mercedes car but, since December of 2009, when the last SLR rolled off the production line, Mercedes hasn’t shown any semblance of interest in the idea of a revival. Things may be about to change as The Drive reported that a law firm filed for the trademark to the nameplate with the United States Patent and Trademark Office (USPTO). The trademark refers to usage in "land vehicles and structural parts thereof." 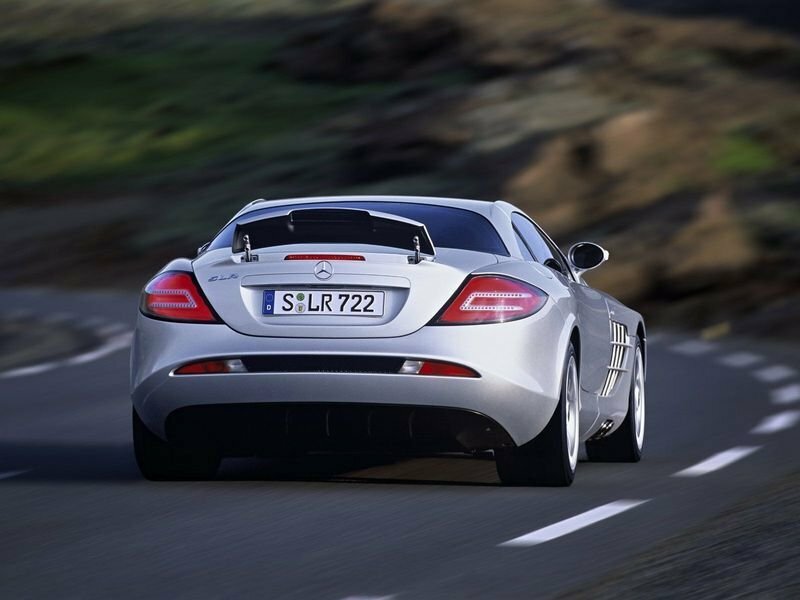 With this being said, don’t expect Mercedes-Benz to announce the new SLR next week or the week after that. In fact, a new model may not be in the works at all. As Motor1 pointed out, manufacturers often go out and reclaim nameplates once rights to them expire just so that another entity doesn’t grab them from under their noses. Motor1 goes on to list a number of nameplates recently acquired by Mercedes-Benz such as the O-Class (going on a limb here and suggesting that if it will become an automobile and if it will be bad, haters will call it the ’0 Class’). Also, Mercedes bagged the rights to the GLS 600, GLS 680, and S680 on top of many EQ designations. In September of 2017, Mercedes also got the S73, G73, and GLS73 names and others, all the ’73’ models supposedly being part of a new lineup. So, we can’t be sure if Mercedes-Benz plans to revive the SLR in the near future on half a decade from now but what’s certain is that this badge carries with it quite a lot of weight, more than Mercedes’ current flagship model, the AMG GT, and its predecessor, the SLS AMG. Granted, the SLS name wasn’t new either going back to the 1957 Mercedes-Benz 300 SLS, a special open-top version of the 300 SL made specifically for racing. In 2002, Paul Fearnley interviewed Ted Cutting, who was the Chief Designer of Aston-Martin’s racing department between 1955 and 1964. His crowning achievement is designing, almost single-handedly, the Le Mans-winning DBR1 that remains, to this day, the only car with David Brown’s initials on it to win at Circuit de la Sarthe overall. It happened 60 years ago, but we won’t talk today about Aston’s golden day to which the Cobra’s creator, Carroll Shelby, was instrumental in making it happen. Cutting talked to Fearnley in Motorsport Magazine about the car he wished he’d designed the most. His pick? The sleek silver arrow that was the 1955 Mercedes-Benz 300 SLR. Why? By his own admission, the SLR was "the best of its time: fast, reliable and, most important of all for a racing car, successful." 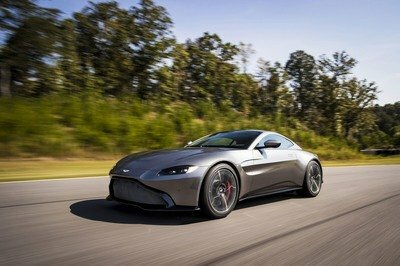 He knows this first hand, too, because Aston-Martin was going head-to-head at the time against Mercedes-Benz with the DB3S that Cutting co-designed with former Auto-Union Head of Design, Dr. Eberan Von Eberhorst. In a way, you could say it was a personal affair for Eberhorst particularly in 1955 because the 300 SLR was the work of Dr. Rudolf Uhlenhaut, the man behind the most famous pre-War Grand Prix car, the near-flawless W125. The champion car of 1937 and its successor, the W154, raced against the V-12-engined Auto-Union Type D Von Eberhorst designed was, the Mercs were even better. Sadly, the DB3S wasn’t the car to beat the 300 SLR and, with Mercedes retiring from racing after the 1955 Le Mans race, the DBR1 never raced against a Silver Arrow. Still, Cutting praised Uhlenhaut’s work saying that the German engineers learned a lot during the 1954 F1 season, especially when it came to the engine. The 300 SLR featured desmodromic valves and mechanical direct fuel injection, but where the SLR's straight-engine had a cast iron block, the "GP engine featured welded-up, sheet-steel water jackets." The engine itself was a 3.0-liter version of the F1 mill, the extra 0.5-liters being achieved by increasing both the bore and stroke. Power hovered between 290 horsepower at 8,5000 rpm and 310 horsepower and 7,400 depending on the intake manifold and 235 pound-feet of torque at 5,950 rpm according to some sources although Cutting puts his finger on the following numbers: 290 horsepower at 7,600 at a 12:1 compression ratio. The engine had a 90-degree valve angle and sported two four-cylinder cranks. Cutting says he disapproves of the usage of desmodromic valves that negates failures from valve spring breakages. Nevertheless, he reckons the 300 SLR’s engine was the best in 1955, together with its angled position in the engine bay to lower the center of mass. The 300 SLR was a true ballerina by today’s standards, weighing in at just 1,940 pounds (Mercedes’ last Le Mans winner, the 1989 Sauber-Mercedes C9, weighed 1,995 pounds for reference). This is due to its construction: it was underpinned by an aluminum tube spaceframe chassis covered by an Elektron magnesium-alloy bodywork. In the back, the 300 SLR had sway-bar suspension unlike most of its rivals that were fitted with a live axle or De Dion struts. The power reached the rear wheels via a transaxle while the brakes were drums all around, but placed inboard to reduce unsprung weight. By 1955, Jaguar was already using Dunlop discs for a couple of years and you could tell: at Le Mans, Mercedes popped up with an ingenious air brake, basically a large piece of the rear bodywork that jumped up at a 90-degree angle when the driver hit the brakes to slow down for the infamously slow Mulsanne corner at the end of the Hunaudieres. Uhlenhaut’s sports racer only raced for one season. There was no time for Mercedes-Benz to address any of the issues and nor was there time for its rivals to react to the Silver Arrow juggernaut that effectively silenced the opposition in an instant. And the opposition was stout; it goes without saying. Jaguar was there, as mentioned, armed since 1954 with the sleek D-Type. Ferrari ditched the huge and scary 375 Plus that won Le Mans in the year of the D-Type’s debut for the 121LM, similar to the 750 Monza meant for privateers. Meanwhile, Maserati was in the game with the 300S and Aston-Martin, as mentioned, had the DB3S. The season kicked-off in Juan-Manuel Fangio’s native country of Argentina but his team, Mercedes-Benz, did not ferry its way up to South America. As such, an older Ferrari 375 Plus won overall manhandled by two local drivers. Up next, the 12 Hours of Sebring fell in the hands of the Anglo-American duo of Mike Hawthorn and Phil Walters who drove a Briggs Cunningham-entered D-Type. Again, Mercedes pulled a no-show. Then, finally, round three saw the World Sportscar Championship return to Europe for the mythical Mille Miglia. The Mercedes armada with its immaculate silver bullets that gleamed in the Italian sun had its race numbers painted in contrasting race paint. At the Mille Miglia, the number points to each car’s departure time, the Mille Miglia being run in a rally-style fashion with intervals between the start time of each entry. A British driver had never won the 1,000-mile enduro when Stirling Moss and co-driver Denis Jenkinson set off on May 1st, 1955. But it all changed that day. Jenkinson, Motorsport Magazine’s long-time motorsport pundit, got his chance to be Moss’ navigator after John Fitch wasn’t drafted in the Mercedes squad for the event. Fitch and Jenkinson had previously talked about a way to beat the Italian establishment in what was a true road race. The two came to the conclusion that there was the need for what we now know as pace notes because, they agreed, a non-Italian would have no way to remember enough of the route to be competitive against the household names from Italy like Castelotti or Maglioli who at least had a broad idea of how the whole road looked and knew some sections like the backs of their hands. Moss was of the same idea and Jenkinson devised an apparatus similar to a paper roller to which he could attach a thick roll of paper full of pace notes he gathered driving on the Mille Miglia course beforehand. The duo proved lethal for the competition, including Fangio who drove sans co-driver, and the No. 722 300 SLR won its first race of the season at a record speed, averaging 97.96 mph and sometimes pushing 170 mph on the fast bits - the co-driver blowing the horn when needed. Jenkinson’s account of the whole thing from the passenger’s seat is an amazing read and it epitomizes racing as it was back then, during what some refer to as ’the Golden Era.’ Here’s just a passage to give you an idea of how it was to navigate a 300 SLR as fast as it’s willing to go through Italy 64 years ago. "Through the dusty, dirty Adriatic villages we went and all the time I gave Moss the invaluable hand signals that were taking from him the mental strain of trying to remember the route, though he still will not admit to how much mental strain he suffered convincing himself that I was not making any mistakes in my 170mph navigation," Jenks noted. "On one straight, lined with trees, we had marked down a hump in the road as being ‘flat-out’ only if the road was dry. It was, so I gave the appropriate signal, and with 7,500 rpm in fifth gear on the tachometer we took off, for we had made an error in our estimation of the severity of the hump. For a measurable amount of time, the vibro-massage that you get sitting in a 300 SLR at that speed suddenly ceased, and there was time for us to look at each other with raised eyebrows before we landed again," he wrote. After this resounding victory (Fangio finished second over half an hour behind Moss and Jenks), a lot more people realized the usefulness of a co-driver in events like this, although Jenks wasn’t actually the first ever to spew pace notes to the driver in a road race. Still, the result immediately found a golden spot in the history books where it stands to this day. Moss had to pilot a rear-end-heavy 300 SLR in the early hours of the race as the car had its tanks filled to the brim (about 70 gallons) with a high-octane mixture of 65% low-lead gasoline and 35% benzene. Moss offered his highest praise to the car saying that the "300 SLR was quite simply the finest sports car ever made. It was strong, reliable and fast. The only thing the car did not have was disc brakes. This was because Dunlop had the patent on them and, quite understandably, they would not allow them to be used on the Mercedes." Moss also recalled in a different discussion how the big SLR was actually quite economical, averaging 8-9 mpg at those speeds riding on six inches wide wheels that wrapped around the 16-inch spokes. Round number three of the championships took competitors to France on the hallowed asphalt of Le Mans. Mercedes-Benz entered three cars. No. 19 for F1 regulars Juan-Manuel Fangio and Stirling Moss, No. 20 for Pierre Levegh and John Fitch, and No. 20 for Karl Kling and Andre Simon. You all know what happened next. Early on in the race, on lap 35 of the race, Jaguar’s Mike Hawthorn was battling hard with the Mercedes of Fangio. The two had actually been fighting and exchanging the lead ever since the flag dropped; Hawthorn determined to show that the Germans weren’t unbeatable as that was the impression after the Mille Miglia. On that 35th lap, he slowed down unexpectedly after realizing he’d been signaled a lap earlier to come on pitlane for refueling. As a result, he swerved to the right and surprised Lance Mackling who was aboard a pedestrian Austin Healey 100S Le Mans. Macklin, in turn, veered to the left right in the path of sixth-placed Pierre Levegh in the No. 20 Mercedes. The Frenchman clattered the back of Macklin’s car but, because the tail section was shaped like a teardrop to aid aerodynamics, the 300 SLR actually flew off it as if it’d been launched off a ramp. The wreck was immediately engulfed in flames and the car’s engine, still spinning, and now away from the chassis flew in the grandstand. The result was grim: 83 people died, including Levegh, and almost 200 were injured. Moss remembers what happened thereafter in a cynical manner. "Fangio and I were in the lead when Pierre Levegh had that terrible accident. His co-driver John Fitch then rather stupidly talked Mercedes into pulling out of the race and soon after midnight the team withdrew the other two cars," he said in 2015. Foolish or not, Mercedes’ boss, the charismatic Alfred Neubauer, not only waved the black flag to his drivers as a way of telling them to retire but the company itself left motorsport through the back door at the end of 1955, to the great relief of its rivals in both F1 and the World Sportscar Championship. The 1955 Le Mans 24-hour race was not stopped following Levegh’s fiery accident, due to the ACO’s fear that fans would leave in droves and thus incapacitate search and rescue operations. Jaguar won the race and, on the rostrum, Hawthorn was almost inexplicably happy given the bleak context. To drive the point home, Mercedes won four more races in 1955: the International Tourist Trophy at Dundrod (where the SLRs finished in formation in first, second, and third overall), the Targa Florio (both won by Moss but with different team-mates), the Swedish Grand Prix at Kristianstad where again the car used the air brake as well as the system that automatically squirted extra oil, if you pressed four buttons, on the inboard brakes when one of them locked up. 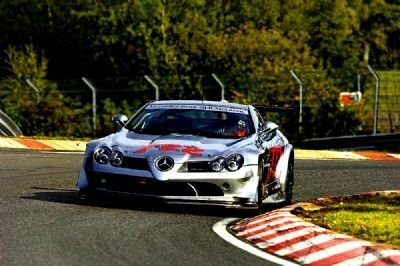 The Eifelrennen also fell to the German cars, and Mercedes-Benz left on a high by taking the title and with a bag of what-ifs. Indeed, Aston-Martin’s Ted Cutting put it best when he said that "we had four years with the DBR1, making it better every year; Mercedes had just one with the 300SLR. Just think how good it would have been by 1958." The coupe I’m talking about, of course, is the by-now legendary 300 SLR Uhlenhaut Coupe. Developed by Mercedes-Benz, it was actually supposed to take part in the 1955 Carrera Panamericana, but the race was canceled after the tragedy that occurred at Le Mans. Only two fixed-head 300 SLRs were ever built, and both stay with Mercedes-Benz to this day. One of the cars was converted for daily road use for Uhlenhaut himself to drive as his company car. Mind you, Uhlenhaut was no slouch behind the wheel himself, and this afforded him the chance to really push the 300 SLR to its limits. Uhlenhaut actually used to test drive the pre-War Grand Prix cars before letting his drivers loose in them, before Mercedes’ board intervened and stopped Uhlenhaut from driving the race cars so much for fear of losing him in a crash. At the time, the rumor has it; he could match Hermann Lang on the Nordschleife and keep up with Rudolf Caracciola on the same track. Another anecdote states that, one time, Uhlenhaut was late for a Munchen and had to really floor it in the SLR. He is said to have traversed the 150-mile stretch of Autobahn between Munich and Stuttgart in just an hour and a bit whereas nowadays, with all the traffic and speed limits in place, it’ll take in at least two hours. Indeed, the 300 SLR in coupe form could go as fast as its open-top brethren and Uhlenhaut would sometimes take unassuming passengers with him in his gull-winged wonder (equipped with a huge muffler for obvious reasons) and scare the living bejeesus out of them. At the end of 1955, Alfred Neubauer retired and so did Uhlenhaut. Fangio moved to Ferrari and then to Maserati to bag two more titles in F1, and there was no sign of the German brand in racing until the very late ’60s when, at the Spa 24-hour race, the three-pointed star was back. This time, though, the weapon of choice was the lumpy but fast 300 SEL sedan powered by a 6.3-liter V-8. Before the Spa 24-hour assault in July, Mercedes-Benz had taken part in the Macau Grand Prix on the tight confines of the street circuit, and all seemed well with a car that was entirely too big for the Asian track. Then, at Spa, Daimler-Benz entered three cars. One with Belgium’s Jacky Ickx at the helm, one with rally ace Rauno Aaltonen, and the third one for Kurt Ahrens, Jr. Their team-mates were equally impressive, and so were the results in practice: second quickest time overall for Ickx, only beaten by the Camaro of Ivo Grauls which, traditionally, was fast at the Ardennes track but never made it to the checkered flag. Then, after practice, the paddock was stunned by the unexpected news that all three of the works Mercs were withdrawn. Apparently, Mercedes-Benz engineers on site decided that the tires were never going to survive given the kind of punishment the heavy 300 SEL was projecting on them and tire failure was going to be all but inevitable. Fearing the worst, the decision was made to not take the start. Two years later, AMG finished second overall in the same event with a modified 6.8-liter version of the 300 SEL cementing its own name as a high-rank tuner, but there was still no sign of the works being back. Indeed, the official comeback only happened in 1989 in the World Sportscar Championship with the mythical Sauber C9. Mercedes-Benz engines were already in the back of Sauber cars as early as 1986 and the partnership extended to the point that Mercedes took over the whole thing. Then, the Germans extended to F1 powering Sauber’s single-seaters and, in 1995, precisely 40 years after it left, Mercedes-Benz was back at the sharp end of the F1 grid as the engine partner of McLaren. The British outfit was keen to hit the ground running after an awful Peugeot-powered 1994 season and, indeed, by the late ’90s McLaren was winning titles with Mika Hakkinen. 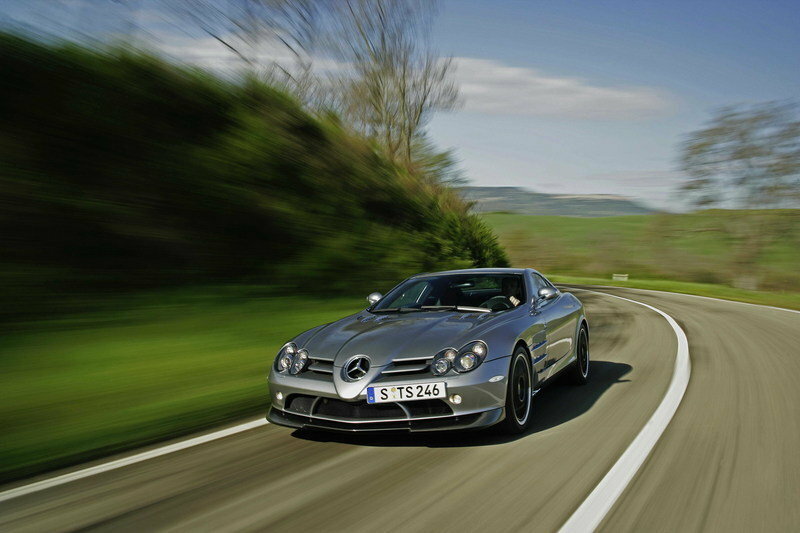 The McLaren/Mercedes relationship also spawned the second ever Mercedes-Benz SLR. Previewed by the Vision SLR Concept unveiled in 1999, the production SLR McLaren was built from end to end at McLaren's Woking facility but was in no way close to the McLaren F1, the previous road car built there. 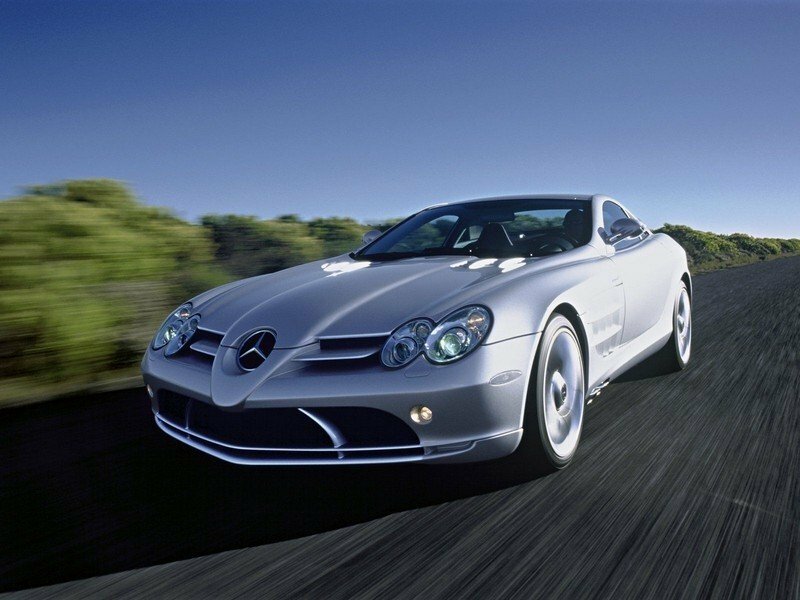 The SLR of the 21st century had two seats, not three, and the engine in the front, not behind the seats, although it was behind the front axle. However, it could’ve been an entirely different kettle of fish as Gordon Murray recalls. 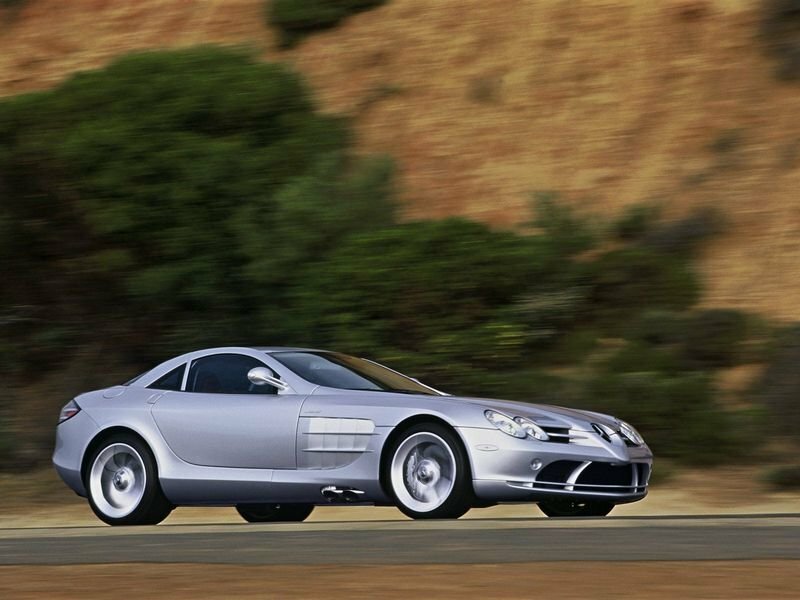 "We presented [the original midship V-8 concept] to Mercedes, and they said: ‘The good news is you’ve got the job, the bad news is we want one with a front engine.’ That became the SLR," said Murray. "It wasn’t really my sort of car, but for the company, it was a big prestigious chunk of work. And it’s still the world’s only full ground-effect front-engined car, and it’s probably the safest car of its type on the planet," he argued. This was Murray’s fifth project for McLaren, the first being the F1. 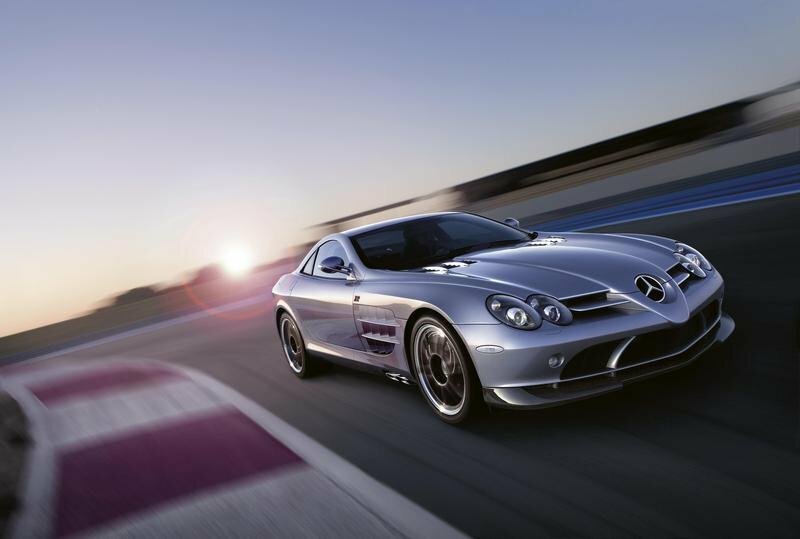 The sixth was a Le Mans prototype meant for privateers, and the seventh was the production-ready SLR. 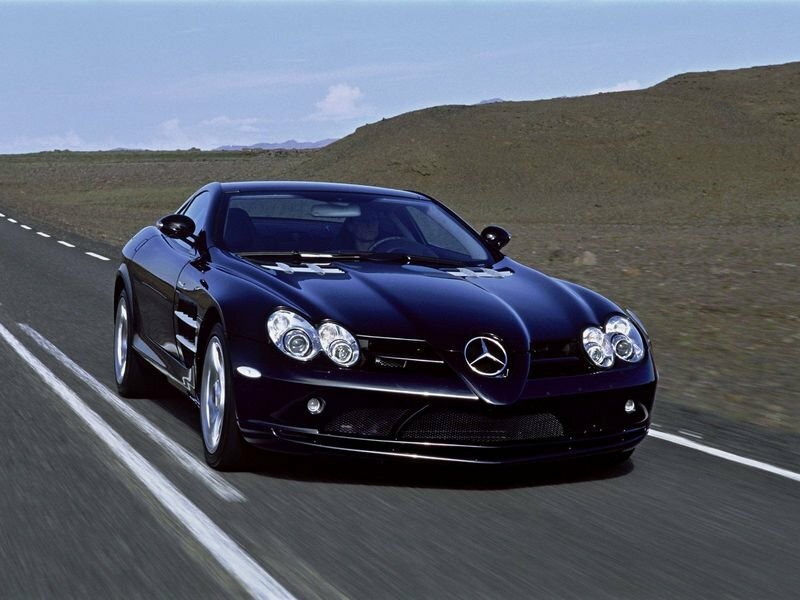 Powered by the 5.4-liter, M155 supercharged V-8, the SLR in its standard specification offered 617 horsepower at 6,500 rpm and maximum torque of 575 pound-feet of torque between 3,250 to 5,000 rpm. The 511-pound AMG unit added to a curb weight of 3,900 pounds, over 1,000 pounds heavier than your Corolla sedan. 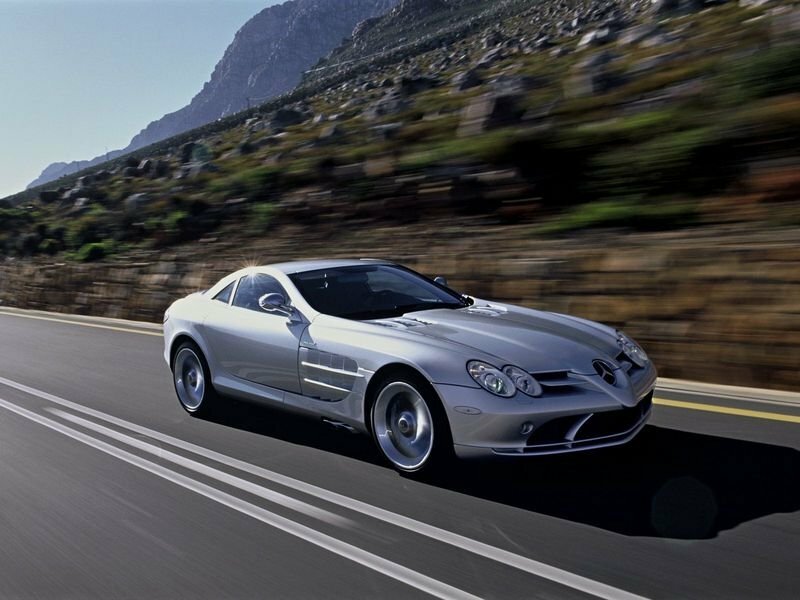 The SLR was a striking appearance from the plunging F1-inspired nose, to the massive grilles below it and the C-shaped vents aft of the front wheel arches, it was the most exotic grand tourer on the market in 2004. It was also the only one to feature butterfly doors and came with a price tag of $350,000 at the time or $462,000 today, almost as much as two Bentley Bentaygas. 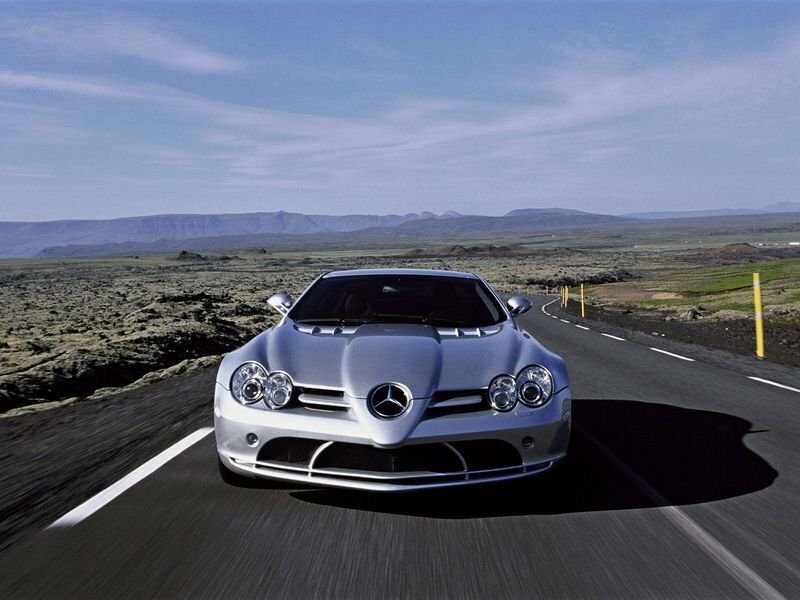 In spite of its gargantuan weight, the SLR McLaren was compared in period with Porsche’s Carrera GT and even the Ferrari Enzo, both of which were mid-engined supercars that offered a completely different package. So, why the comparison? 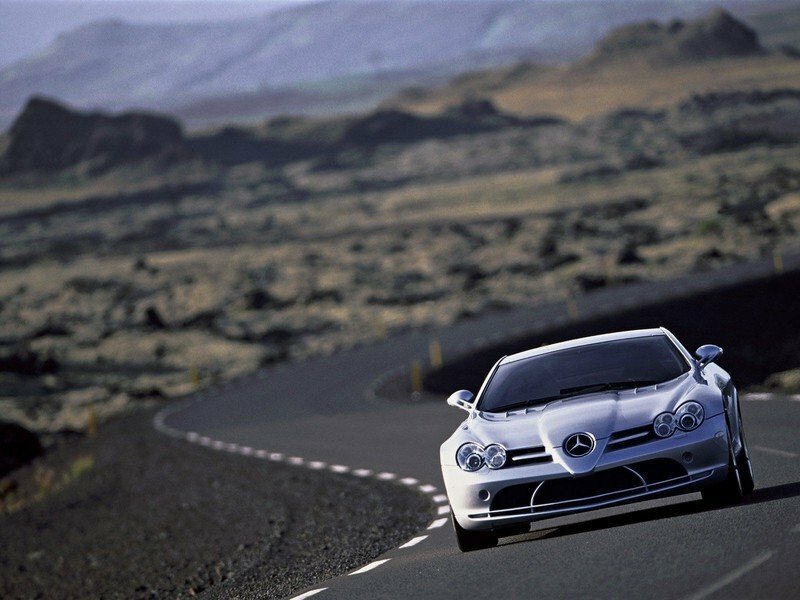 Well, the SLR could reach 60 mph from a standstill in 3.4 seconds as tested by Car & Driver and would cover a quarter-mile run in just 11.2 seconds. Top speed was quoted as 208 mph, three mph quicker than the Carrera GT but ten mph down on the Enzo. It also had the stopping power to match thanks to the (optional) carbon-ceramic disc brakes that were awful when cold, devoided of feel but very effective when within their operating temperatures. 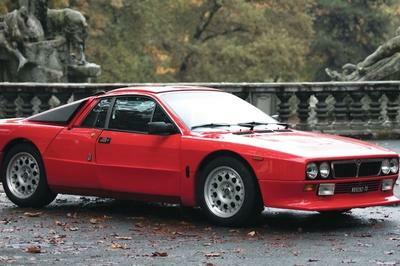 It also had active aerodynamics and a five-speed automatic transmission. 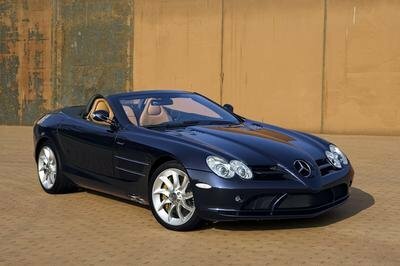 An open-top Roadster version followed and then Mercedes-Benz decided to cash in on the fame of Moss' and Jenks' Mille Miglia win by putting out the Mercedes-Benz SLR McLaren 722 Edition. 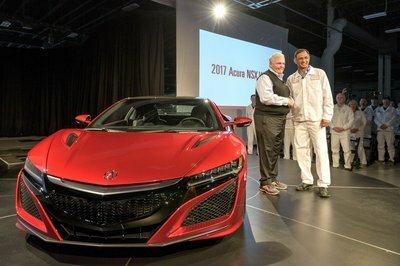 It cranked out 24 more horsepower and 30 extra torques and was distinguishable thanks to its carbon fiber splitter add-on and the black 19-inch alloy wheels. The 722 Edition was one mph faster than the standard model and had an MSRP in 2007 of $450,000, $950,000 cheaper than a Veyron! Now, of course, the price has gone up on the 722 Edition models and, especially, the 722S of which only 150 units were made. Mercedes-Benz Classic has one up for grabs right now, but it costs $1.45 million. However, the 722 Edition isn’t where the milking ended. 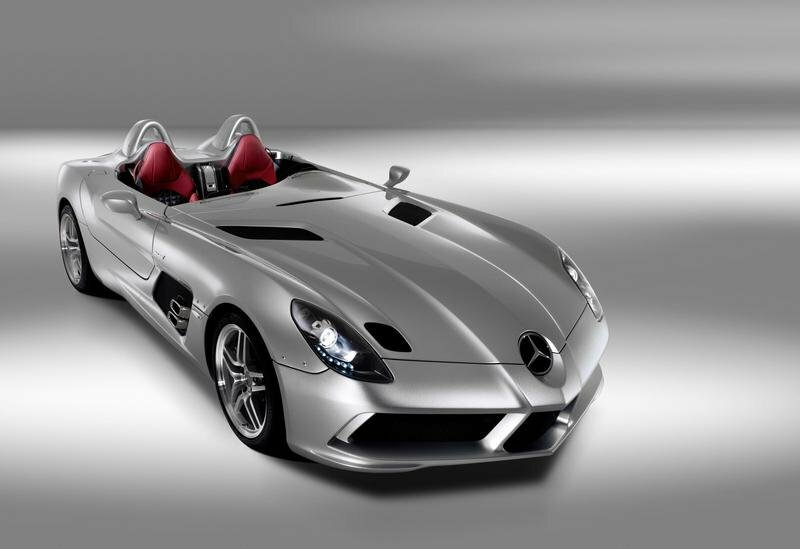 In 2009, Mercedes-Benz announced the SLR Stirling Moss Edition. Unveiled at the 2009 NAIAS, the SLR Moss was an almost brand-new car with a completely different speedster body similar in layout to that of the 300 SLR. 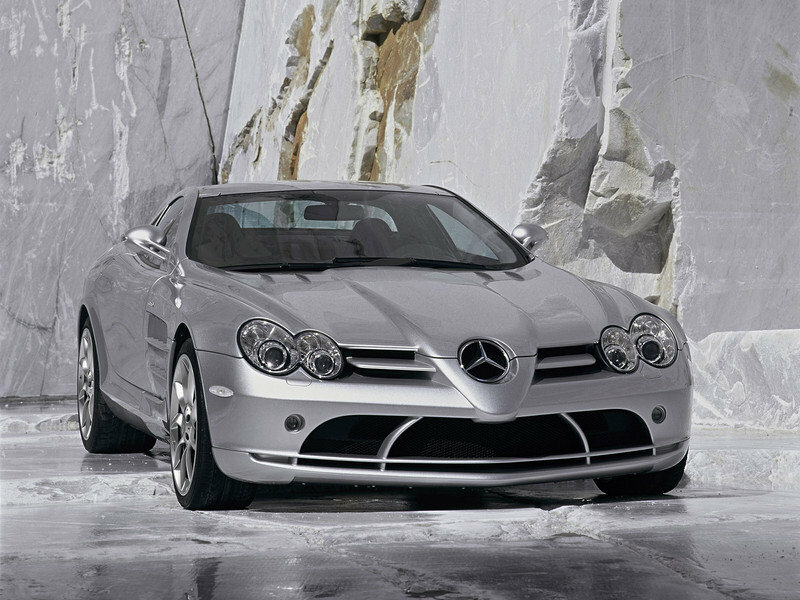 Designed by Korean designer Yoon Il-hun, all 75 units first became available to McLaren SLR owners at a price of over $1 million. 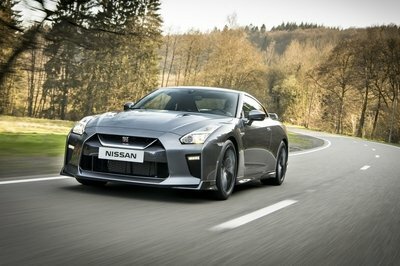 Now, there’s one for sale in Germany for three times that amount. What do you get for that kind of money? Well, if you don’t like to have flies in your face or to wear goggles to prevent having flies in your face, you could have a Chiron. But if you want the SLR Moss, know that Mercedes squirted a few extra ponies out of that supercharged engine that made 651 horsepower, the car reaches 60 mph in three seconds flat. 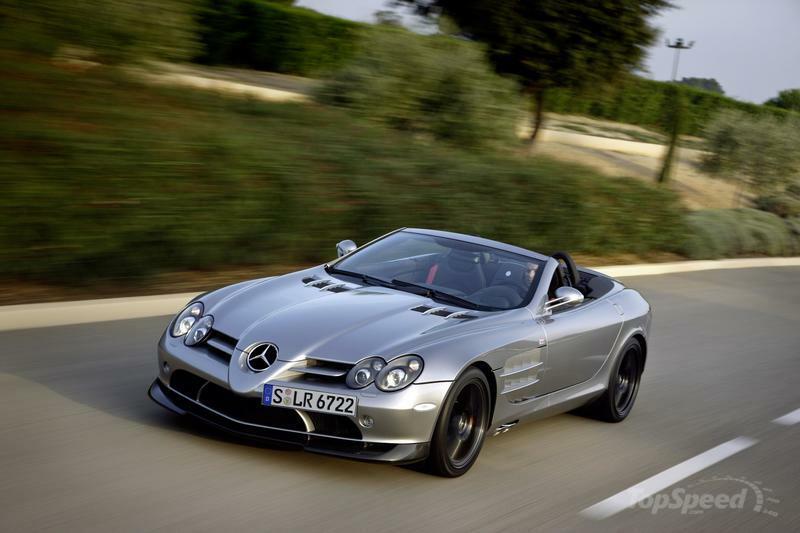 As a footnote, the McLaren SLR spawned itself a race car, if anything, to honor the name it bore. 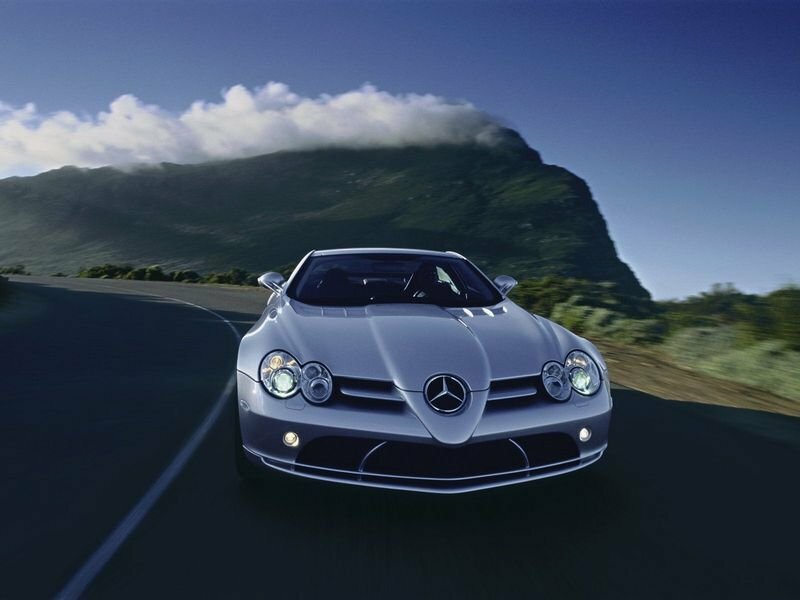 The SLR GT was used in a wholly forgotten one-make series called the SLR Club. 21 units were built by Ray Mallock Limited in the U.K., and a few reached the U.S. shores through Renntech. One of them even competed in the Speed World Challenge GT championship under the Racer’s Group banner driven by Spencer Pumpelly. It wasn’t successful but what’s interesting is that, in order to be eligible to race in the series, the engine’s power had to be dialed back from 680 horsepower to just 550 - in a car that was over 1,000 pounds lighter than a standard SLR!